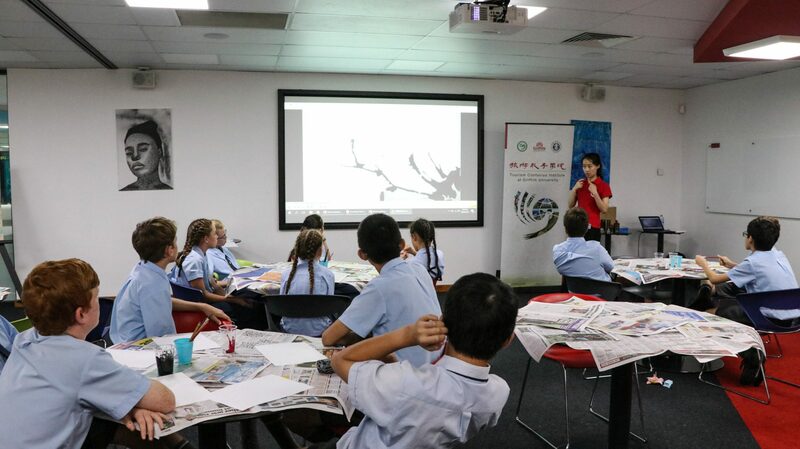 On the last day of Term 1, the team from the Tourism Confucius Institute (TCI) based at Griffith University, held a Chinese Culture Day at Sheldon College. 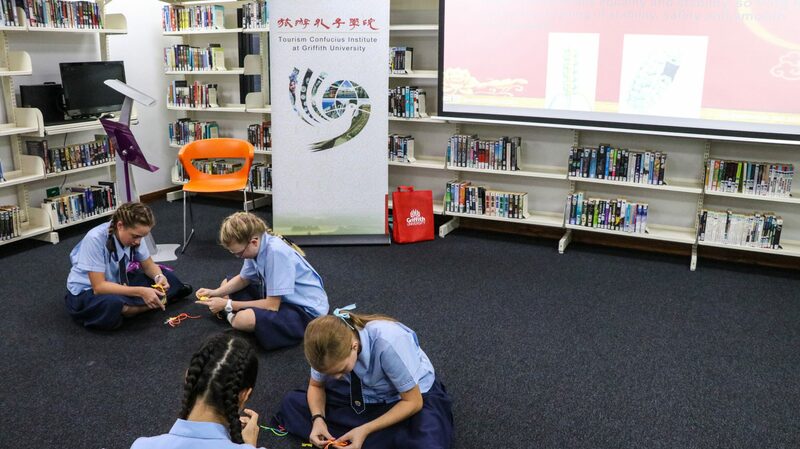 Over 100 students learned about and participated in an array of Chinese activities from hearing the Erhu violin played, a traditional Chinese instrument with origins back to the Tang Dynasty, to paper folding and making Chinese knots. The Chinese Culture Day featured five activities, including an Erhu (Chinese violin) performance, Chinese knot making, Chinese brush painting, Gobang (strategy board game) and paper folding. The various kinds of Chinese cultural activities really ignited the participants’ passion for learning about Chinese language and culture. We extend our heartfelt thanks to the Tourism Confucius Institute for their wonderful contribution to both our College and our students, and we wish to acknowledge the following article and photographs supplied by the Institute. Xièxiè! The Erhu is a Chinese traditional instrument from the Tang Dynasty with a history of more than one thousand years. TCI Teacher Yitong demonstrated the charm of the Erhu to the students of Sheldon College by playing some famous songs. She also let students have a go at playing the Erhu, which generated much enthusiasm and applause from the audience. Chinese painting done through blowing ink is a type of Chinese traditional painting that combines blowing and painting. In this activity, TCI Teacher Yitong showed the students a short tutorial video and explained the steps for painting in detail. The students exercised their imaginations and created many interesting images. During the Chinese knot making class, Teacher Flora introduced the history, types of Chinese knots and the meaning or symbol for each kind of knot. 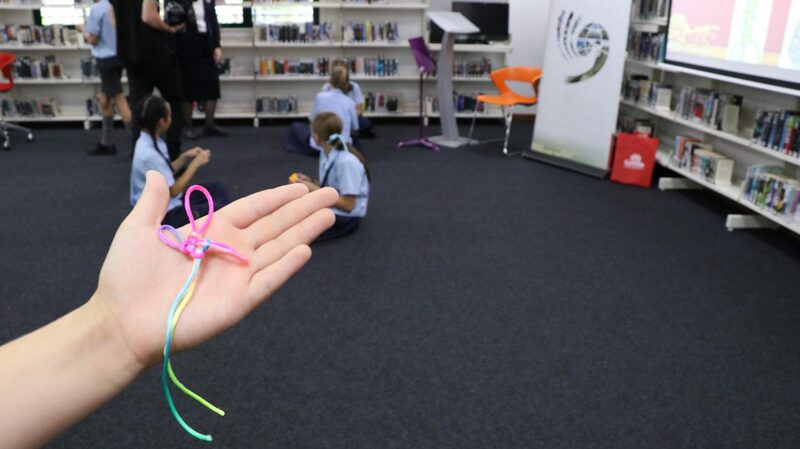 After that she taught the students how to make the "Lucky knot". Soon colourful threads were turned into beautiful Chinese knots in the hands of the students, with the knots representing the students' best wishes. 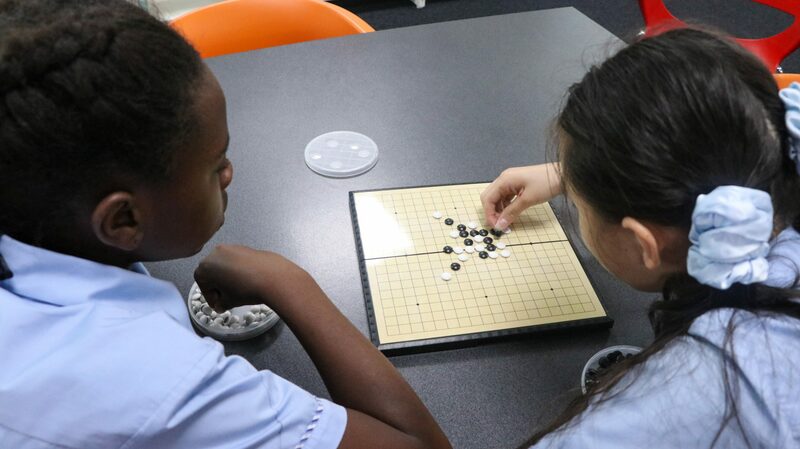 In the class of Gobang (five-in-a-row), TCI Intern Ruolin Wang explained the rules and skills of this game. 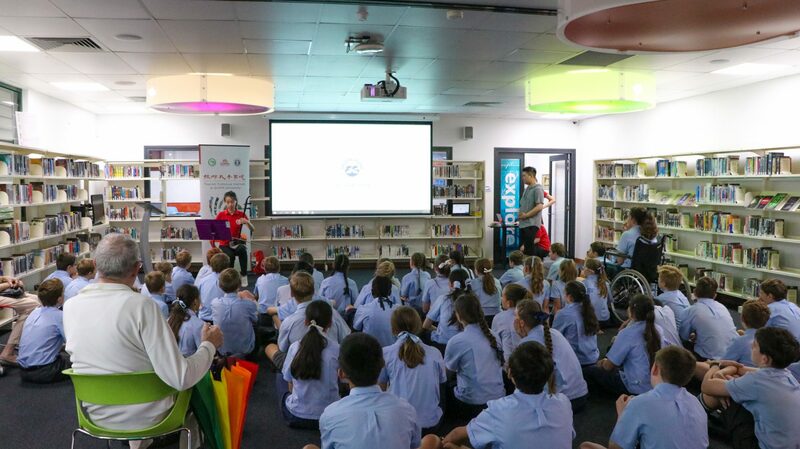 He divided the students into different groups for practice and competition, which enhanced the students' cognitive skills and their personal relationships. 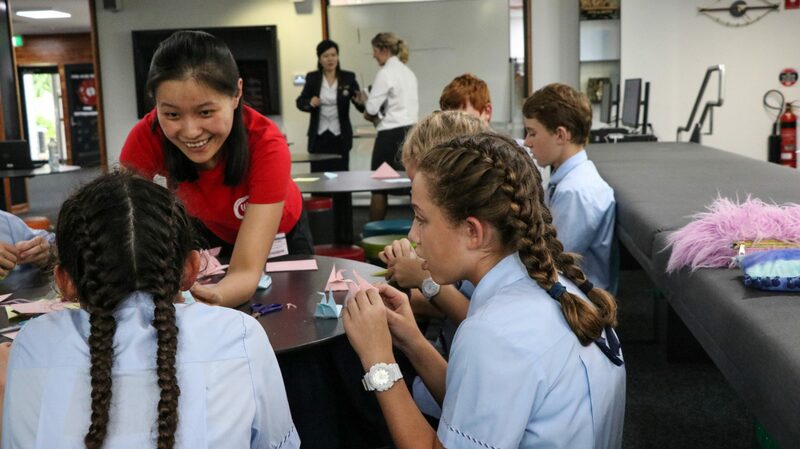 Teacher, Flora taught paper folding skills, and showed the students how to make stars, boats and paper cranes, which fully developed the students' practical ability and imagination. 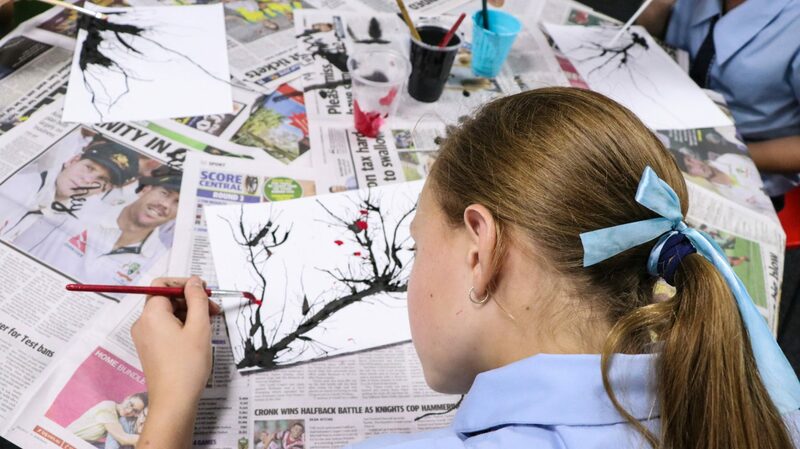 The combination of Flora’s patient guidance and the students cooperating with one another resulted in colourful paper being transformed into vivid images. The Chinese Culture Day aimed to strengthen Sheldon College students’ understanding of Chinese culture. The teachers, students and parents of Sheldon College enjoyed the charm of Chinese culture during this activity.